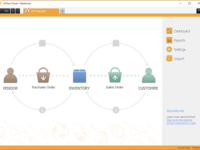 inFlow has been designed to run and manage any item based business. Suited for wholesalers, distributors, retailers, manufacturers and online sellers. Customers are located in over 121 countries. inFlow Cloud Essentials is $69/month with two team users paid annually. inFlow Inventory Reviews Recently Reviewed! Comments: This program is so very easy to use. However, the price doesn't include some features that we really wish that it would. The fact that you can either have cloud-based or device-based is not a good thing, especially when it's something so important. If we had an internet outage, we couldn't use it. If we wanted to be able to use it without internet, we lose the app compatibility. We shouldn't have to decide between the two; there should be an option that includes both, and many people would pay to have that. Pros: I love that I can use images and add barcodes all in the same place. It is so easy to use and even easier to teach others how to use it. I also like that I can get reports on how many items we've sold and to whom. The apps have come in handy so often, because when we did an inventory check, we were able to go around using the mobile app rather than having to go back and forth between the computer and the shelves. This app made life a lot easier, and support was so helpful during the few times we had issues. Cons: It's a tad pricey. In order to get the mobile app, you have to pay. This includes permission for two people to use the program. However, this includes support, which is definitely worth it. We would prefer to also have the option to have the inventory stored on our devices rather than just in the cloud, but if we changed to the inFlow On-Premise, we would lose our mobile device compatibility. We would be willing to pay a little more over the already-pricey cost to have the option to have it cloud-based and on our devices. Pros: Once you get to find your way around some, you come to see that it's going to save lots of time, and redundancies, with regard to invoices, packing slips, inventory control. But what is wonderful is it gives you a trajectory of inventory, so you never have to worry about having enough stock, or the dreaded "too-much-stock" on hand. The tech support has been friendly, and precise, even waiting on the phone as I worked through the things that I needed help with. I used to be asked by my boss, at the worst times I might add, "How much stock do we have right now?" And I'd give a guesstimate, sometimes close, some times I was way off, as I had to answer right away. Those days are gone thankfully, as now at any given moment I can not only give an exact stock count, but I can tell if more is needed to order and how much. The neat part too, is you can put in your own trigger amounts when stock count sinks to a certain it tells you to reorder, and you decide how much. No more guess work!! Cons: I wish the invoice templates were a little more striking in appearance. Just a little drab. Yes you can make your own but, a few more invoice template choices with invoicing would be nice with more life. That goes for the stock inventory as well. It tells the information, but looks boring. Just a little more lively looking reports would be nice especially when presenting these in company meetings. Overall: Made my job as sales representative, and inventory control, much easier and more accurate. Pros: I liked that it was affordable, did not require that you pay a monthly subscription (for the offline version) and that it was more intuitive than most I've tried. The new integrated barcode feature of the cloud product brings this to the level of $10,000 systems I have used in the past. Cons: The biggest con with both versions of this software is the inability to handle multiple warehouses properly. If an item you have is in multiple locations, it treats those locations as different bins on the same shelf, so it will not tell you that you need to order more for warehouse "A" of there is enough in warehouse "B,C,D" to meet the min/max criteria. This requires you to use different part numbers for the same thing in each warehouse, which is doable but annoying when it comes to transferring between warehouses and labelling. Overall: Support for this software is very good, I never have a problem getting a response, and there is a user based forum that also has a lot of information. Comments: InFlow worked really well as an affordable inventory control solution with their one-time fee for a desktop version. Our client was a new industrial supply company with around 1000 items but very limited staffing. InFlow offered an unlimited number of inventory and sub-categories. We needed a program that was easy to learn with the ability to have real-time inventory counts, profit and cost of goods sold, along with sales quotes that could be moved into sales orders and invoices along with vendor ordering capability. Inflow provided what we were looking for in a desktop solution. Pros: The inFlow Inventory program was quite easy to learn and compared to other inventory management software, really affordable. 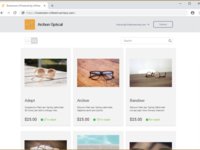 It also had the ability to integrate with Magento or Shopify for when our business client was ready to move into online sales and the ability to use barcoding. There were a number shortcuts in the program which was quite useful for a small business with inventory but with limited operations staff. 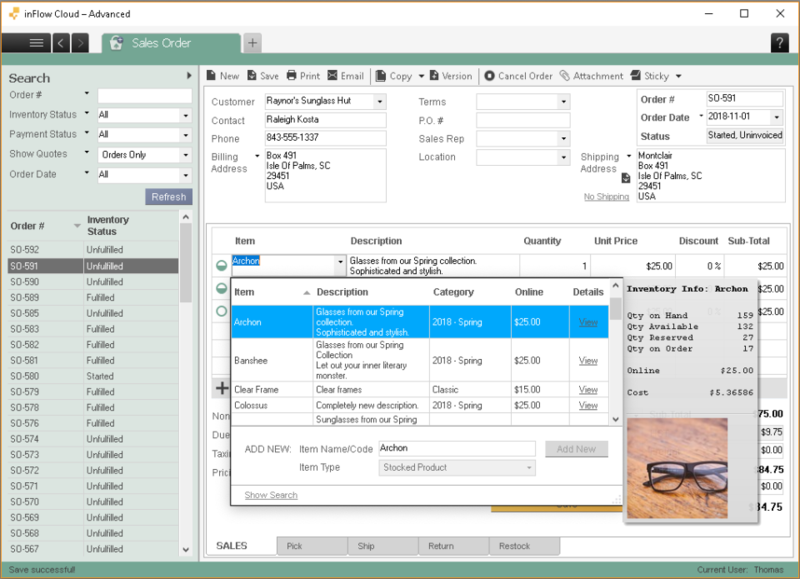 For example, through the Vendor list, low stock can be identified with the Suggest Reordering feature. We found it was a fairly robust program for our small business client, but also easily installed, customized and managed with a fairly flat learning curve to run it with success. Cons: The only major downside to the desktop version of inFlow was its inability to integrate with an accounting program. Although the reporting capacity gave all the information that was needed for management and financial meetings, the information had to be exported out of Inflow and imported into the accounting program manually. The cloud version of inFlow has this ability, but the desktop version did not. There was also no Mac version available. 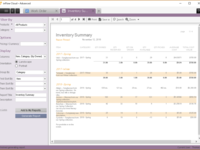 Pros: I love that it has all the features from purchase to sales and the inventory functionalities are comprehensive. It captures almost all of our business scenarios. It is really comprehensive vs all other software that we evaluated. I would say that this is the top inventory software in its class, before the big ERPs. Also, their recent strategy to move to cloud with integration to popular platforms has made the software more relevant, and made our business easier to operate. Finally, the customer service is really great. They do interact with all users closely and they listen to product improvement suggestions. Overall: Better tracking if purchases, inventory and sales, pretty much important in running a business. Pros: Great for small companies who need sales and purchasing. Sales has records of customer quoted sales and purchases can see what to order. Cons: Software lacks year end inventory count reset. Reports could be better to show year to date expenses. I had a tough time getting year to date reports. 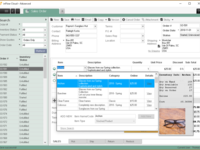 Overall: Software is one of my favorites for companies with no purchase order system. Comments: I love this platform because of its robust set of functions, I do suggest using someone with experience to set up the software if hosting on premise. The cloud version is much easier but also not free. Pros: PERSONALLY LIKE THE LOCATIONS FEATURES AND SUB-LOCATIONS, EASY TO ASSIGN ASSETS TO THEIR APPROPRIATE DEPARTMENTS AND USERS. I ALSO LIKE THE FEATURE TO ADD IN YOUR OWN TABS AND FIELDS. Cons: I WOULD LIKE FOR THE SHOWROOM TO BE ABLE TO BE SPLIT INTO SEVERAL OR VARIOUS SECTIONS....SUCH AS BEING ABLE TO FILTER ONE DIVISION FROM THE OTHER, POSSIBLY HAVING INDIVIDUAL SHOWROOMS FOR EACH DEPARTMENT SO THAT WE CAN MAKE IT EASIER TO FILTER EACH DEPARTMENT'S ASSETS AND HAVE THEM BE SHOWN ONLY FOR THEIR ASSIGNED USERS WE INVITE. Overall: UNTIL MORE EMPLOYEES ARE FURTHER EDUCATED ON OUR PROCESS AND PLANS THE SOFTWARE WILL TAKE SOME TIME TO POPULATE AND GET US INTO GOOD HABITS AND ROUTINES, OTHER THAN THAT THE SOFTWARE WAS INCREDIBLY EASY TO SETUP. I HAVE BEEN ABLE TO EASILY POPULATE THE SOFTWARE FOR SEVERAL OF OUR AREAS AND DEPARTMENTS AND AM CURRENTLY WORKING WITH VARIOUS MANAGERS. Overall: For what I pay for this I am very happy. The saying you get what you pay for, well it does not apply here. The makers of inFlow have amazing support and are working hard to make this a great product for the little guy as well as the large company. I know that all of the bugs will never be gone 100% and to think that they will by anyone is foolish. That is the only reason I gave 2 of the 4 items the 4 stars. There are a few issues that need attention and they are working hard on them. Pros: A one time purchase, no recurring expenses unless additional support is required. Overall: Quality is tops - innovative. Took me some time to adapt to the program in general - probably because accounting is not my field of expertise. Found some limitations to the program e.g. limited usable space inside the remarks box of SQ to keep SQ a one pager. Customer support superb: always helpful, friendly and gets the job done. Currently I do not use all the features of the program hence program bit expensive for my needs - however i am excited with the scope the program offers! Pros: We have found that INFLOW was willing to work with us to set this up to best fit our needs. We find the customer service and support staff to be incredibly helpful. They not only respond in a timely fashion to our requests, but followup with ideas and suggestions to be sure that we are not continually struggling with a project we are trying to set up. Cons: I do not think the integration with QB fits our needs. There needs to be a 2 way integration with QB for credit card payments. Also, the invoices did not print out correctly without additional work on our end and the statement feature was difficult. Overall: We did not have an inventory program set up in any way before INFLOW. Using this program has helped us to keep our inventory more accurate. The ability to export information and create custom reporting is very helpful for the reporting we need to do here. We consider this to be a Platform that is very easy to set up and use. Pros: The flexibility that gives the user, if I need a report that does not have inFlow I can export / create it to Excel. I can also simply copy and paste data. I currently handle 6000+ SKUs in more than 5 stores, more than 100,000+ Sales without slowing down problems, or headaches. Pros: Easy to use and not hard to learn out to navigate your way around. Cons: Can only axcess yo it to the desktop or lab top computer you have it installed to. Overall: So far I have no complaints. Except for one. Wish it has easy axcess to a tablet or mobile device for example. So when you away from the computer and want to do like a quick inventory count or something. Even look up something up for a customer to see if we have it in stock/more detail info without running back to a desktop everytime. You can just axcess right from the handheld device to make any changes right there as your in the stock room doing some work. Instead of have to print out like a count sheet every time and then go back and make adjustments. Which takes more time and waste paper in the long run. Even if it's just app to the program so can least make adjustments on frieght or look up info for a customer from a a tablet/mobile device. I have used Inflow for almost 4 years and have not found a reason to change inventory systems yet. Pros: Inflow has a lot of characteristics and functionality that other inventory systems do not. With the easy access to view numerous pages at the same time is one of my favorite features. Cons: The only thing that we have had trouble with Inflow Inventory is the fact that they do not offer an open API. The company that I work directly through a CRM and it would be wonderful to be able to connect orders directly to a customer. Currently we are having to manually share orders, which adds unneeded time spent. Overall: The reporting offered by inFlow is very detailed and well laid out. Great support, great software for our retail store. Pros: Easy to manage, inflow is now our companies sales and stock management backbone for our 3 branches. We print invoices, monitor and mange stock, etc.. Basically, all the standard actions taken from receiving and selling the item. Cons: Everything is awesome. There is nothing negative about this product, the company is always stepping forward, from premises to cloud, I see a great future for this awesome company. Overall: Tracking vendors, stock, sales, and customers is a 1000 times easier and efficient because of inflow. Pros: The software is great for managing our inventory it has images, adds bar codes, manufacturers SKU and the showroom is a great start. Cons: The showroom needs to have more customisation options, the labels only print on Dymo printers however we have a Toshiba Tec industrial label printer a common printer that we use bartender software with. Why cant Inflow integrate with Bartender to support all label printers? We are using InFlow to manage a chemical store, this means chemicals and consumables used in a laboratory environment. Inflow could do with the ability to upload a PDF to an item in the extras field so you can attach a MSDS to the products if they are hazardous materials. Comments: good for start-up ERP implementation especially for small to medium companies. Pros: ease of editing fields by myself without referring to an agent same as most of the others ERP do. The possibility of exporting a report to EXCEL and from there I can get any result I need; of course, you have to be skilled in EXCEL. Cons: not possible to export invoices to EXCELinstead of WORD. Not possible to have invoicing tab segregated from packing list. I have to do it out the record in WORD. Pros: Easy to use and setup, pricing plans for every budget. Customer support is quick to respond and really helpful. Has a lot of features and their development team is always looking to add more. Cons: They really need a built in feature for lot/batch number tracking. There are several work around solutions (that do actually work) but it would be nice to have this be a standard feature. Overall: Have been an inFlow customer for many years and will continue to be for many more. Pros: It is very intuitive, and easy to use. The interface is relatively clean, and pleasing. Cons: We are using the Spanish language feature (which was a primary reason for deciding to use InFlow) for one location, and the English for another. That works out pretty well, but InFlow has apparently decided to not focus on rounding out the Spanish part of it. There are a few places where, instead of Spanish, there is an English word. It is still definitely usable as it is, but it would be great for inflow to put another 25 hours into is to make the Spanish part COMPLETELY Spanish. Regardless, I can say that that should not stop you from using it. The English version of it is absolutely perfect, so if you don't anticipate using other than the English functionality, you will never know it. Even if you do use the Spanish version, you will still be able to operate just fine. Overall: InFlow has a support team that responds with phone callbacks pretty quickly. We use a more complicated ERP for another secion of the business, but did not have the option for Spanish with that ERP system. For an entry level ERP, this is a good value for the money. I can recommend it. Does what we need it to..
Pros: We switched from the desktop version of inflow. We use MacOS/IOS as a company and were growing concerned that we would have to switch platforms completely to allow our team "cloud" access to our inventory and invoicing. The new interface makes the transition very simply and gives us the full functionality we need on our operating systems. Pros: The software is easy to use and intuitive. The You get a real sense that they are learning about their customers needs and are trying to build the functionality you need into the product. customer support is excellent and very interactive. I believe it has the ability to scale with us. Cons: There are some niggly ways that the current systems works but these have been reported back to customer support. Overall: We needed a system that could be easily worked with by multiple functions in our small organisation. We needed it to be able to handle multiple currencies for sales and purchases in a simple and intuitive way. Finally we needed it to be able to give us clear oversight of our stock levels and give us the ability to manufacture products for our customers quickly without holding excessive stock levels. Pros: We're a small medical distribution company with 2000 and we have been using InFlow for 7 years. Customer service is very helpful and reasonably quick. The software is easy to use. Does what it says on the tin. Cons: There is a 5 hour time difference from the UK to Toronto and Cust Service opens at 10AM. This can lead to frustrating delays in response times. Overall: It has helped us work professionally immediately from start-up. Pros: inexpensive, you keep the data base, no monthly fees. For day to day use it is bug free, does not crash. Cons: do not like the new pay every year maintenance pay system, some bugs with current things effecting the history of the inventory. Overall: This software is a great buy for the cost, I have used it for over 8 years. They have added many new features over the years to make even better. Support is Ok but getting better. Recommendations to other buyers: good starting inventory system, still a good buy price wise. 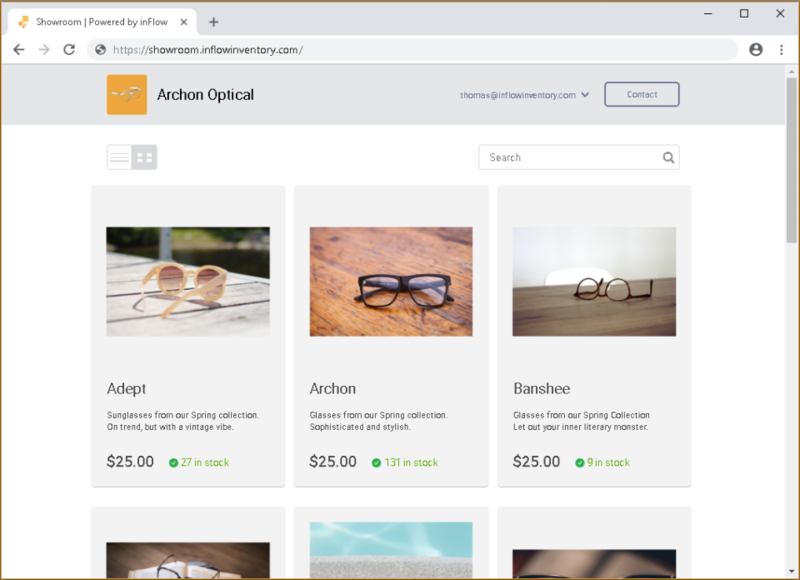 Pros: InFlow has completely organized our inventory, we can easily see what we need to reorder and when we need to order it. It has saved our bacon so many times! People may forget what's been sold, but the software remembers everything! InFlow has saved us so much time, and has saved us money since now we order only what we need. We love inFlow! Cons: I do wish for a few more reports, but the inFlow software is so good, that I would highly recommend it regardless. I really don't have any major issues with inFlow. It works really well. A couple of times per year I'm asked to find numbers that I haven't before, and it takes me a little while to figure out what to do, but I could always watch an online tutorial. Recommendations to other buyers: Best deal for the price. 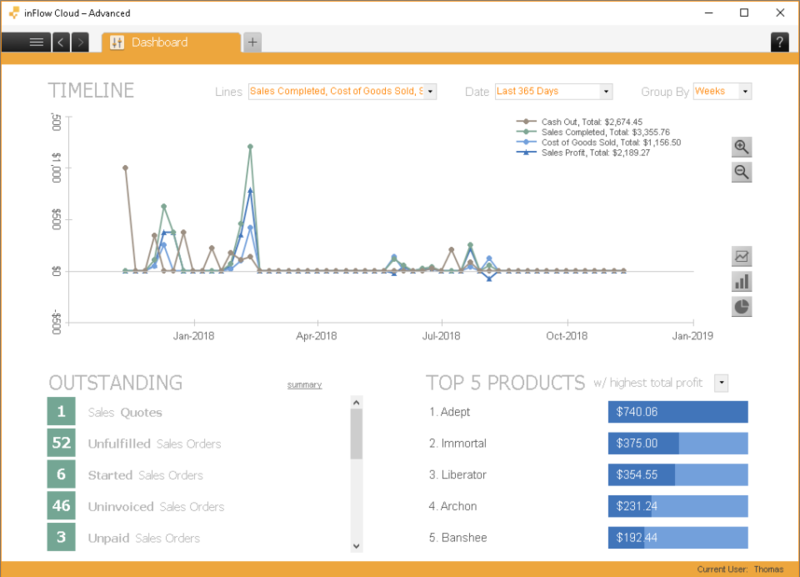 InFlow makes it easy to track inventory, easy to reorder, and easy to evaluate our yearly product flow. Pros: The software is good and reliable. Relatively easy to work with. A lot of reports and the main benefit that we use to export in the excel format. Cons: There is no way to search product in SO, SQ and PO . Our SQ and SO sometimes are 240-350 position and we have to go trough all of them to find the product that we need to check. Pros: The software is very user friendly and the more detailed your initial setup the better your experience. I converted from an access database to inflow via an excel.csv and in 15 minutes I was ready to start taking orders. Cons: The thing i liked least about Inflow is that i did not find it FIRST. I vetted 8 different software packages and none of them really met my needs and most were double or more the cost of Inflow. 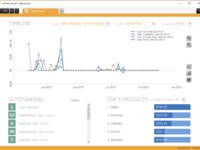 Overall: I am currently using inflow to manage my warehouse of 650 products. I have decided to use Inflow for my archive records department with over 25,000 records and I'm so confident in Inflow I actually looking forward to changing my records over to a system that really works. Pros: I like the team of people that built it. I like that they genuinely care about my issues. And the quality of the software reflects the solid engineering behind it. Cons: The security options and access control is very limited and not specific enough. I'd like to setup my users to have very specific access. Pros: This product is easy to use and you don't need to be an computer expert to master it such a great product and great customer service you had. Cons: I don't have any bad comments using it and I'm still waiting for more updates to come. 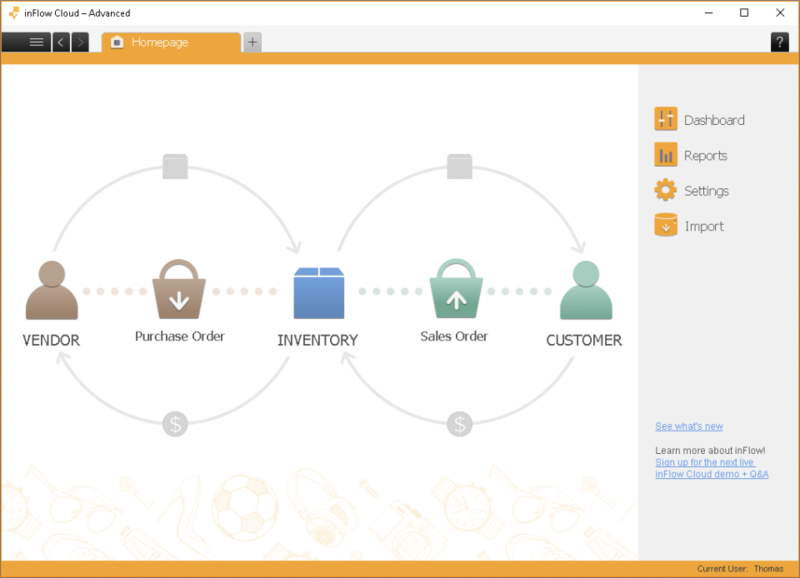 Inflow has revolutionised our Inventory management processes. Pros: We love the showroom and have recently just reached out to customers giving them access. We also just love the GUI and how intuitive it is. It's very easy to drive and train people in use of different functions. We are big fans of your product and look forward to a long history with your product. Cons: Honestly, not much at this point in time. Inflow was chosen after looking at 4 competitors products and I am as are my team that we went with Inflow. If there are issues, I raise them with CS which has a proven quick turnaround. Overall: Too many to name at this point. Pros: I love how you can sort the the products in different categories and locations. Printing and inputting is so easy. Cons: There is not much I do not like about this program. Importing and exporting I would have liked to work better. But all in all I love it. Comments: This product is the BEST! Pros: This product have a lot features that you might need and almost all of it have a shortcut keys that may help to easily memorize to navigate it Overall experience using this product is awesome! Cons: This product might more great if it can provide summary of your yearly expenses , But I love this product and I'm still waiting for updates. Pros: The designed of this tool is very great for all business. 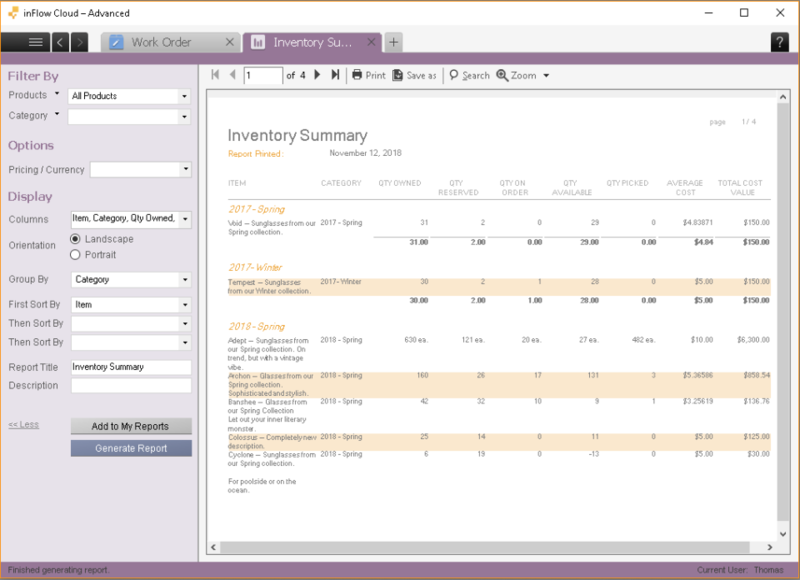 Managing and organizing of inventory are more efficient when I used this tool. Cons: So far no issue in this tool. It is very helpful to my team. The features and functions are fit to my expectation. Cons: When subtracting inventory everyday, the numbers didn't seem to be being taken out correctly and our numbers were always wrong. Pros: Easy to use. Great visibility of product from receipt to sales. Cons: Can't really think of anything, other than I wish there was an integration with our point of sales at the store level. Overall: We've been using the software for years and just recently upgraded to the cloud version. The ease with which our accounting office can verify receipt of goods is great. We operate as a central warehouse for our 7 stores and cut sales orders to fill the stores. With Inflow this is such an easy process. We receive product and fill the sales orders the same day, it's great. Recently, one of my colleagues left for another job and she switched their warehouse over to Inflow. I would recommend it for any warehouse. Pros: I love there customer service , they have a lot of patience and they will teach you step by step to solve your concerns. Cons: This product answers all the features that I need in one product, So I don't have any bad comments using it. Pros: The program is easy to use. The reports are clear. The data is easy to edit. I like the use of attachments. Cons: The integration to make labels is a little complicated for my employees. Sometimes it doesnt log in easily. Cons: As of now, I have no negative feedback about this software because it is complete to run a business. Pros: I like how easy it is to use. I find is very trackable the information I need. I am looking forward to using all the new plugs in with Woo and Amazon. Cons: no way to mass upload images for items. Pros: Has all features for a small scale business needs to manage stock and keeping logs of PO's and invoices. It has helped the business grow. Cons: Data export is in a format that is hard to edit, CSV export files once opened cannot be used straight away as the numbers are all in "TEXT" format. Very intuitive, and such an easy entry into the world of bar-coding. Comments: I went to the internet with a need, and that was to get our small business bar-coded, since the old words-only tags were taking so long to process at the point of sale, ie. hand written receipts and all, causing lineups that were too long at times and likely costing us business. I found your book offer "Bar-code Your Business" and ordered a copy. It was well written, very concise, and of course, led me to purchase Inflow. What I REALLY like about Inflow is how intuitive it is. I didn't need to take a course to figure it out, as it feels very Windows-like. I purchased a no-name bar code gun online, devised a model code scheme for our products, and was up and running in no time. Thanks. On the "not so shiny" comments side, I can't say I liked the upgrade from v2 to v3. The original v2 did everything I needed, and required less explanation to my helpers as to it's function. Suddenly with v3, we now had to hit Save, Fulfill and Mark Paid, all of which ended up with me having to fix this by cheating the date on my computer and closing orders after the fact, when the helpers didn't do it the first time. I was also broadsided one day when on the job, Inflow v3 just froze up on me and I didn't know what to do, exactly when I needed it the most. Well, it turns out that I had to be connected to the internet to use it, obviously so Inflow could monitor licensing/usage status. This was not good, although your customer service was quick to help me with this. If you could find another way to police the licensing, that would be nice. And finally, the one thing that drives me nuts (did again yesterday) is the fact that if I fill in the "customer name" field AFTER having filled in the sales order details, any discounts applied off original price get erased. This has on a number of occasions caused me to inadvertently overcharge customers, and is extremely embarrassing when it's they who notice it first and think I'm trying to "pull a fast one" on them. PLEASE fix this! (although I'm outside of my customer support time window, you can spare others the same issue). Once again, I must compliment your customer service (hen it still applied to me) for their very prompt responses to any query I ever had. Pros: it's very easy to use, one of our users has autism spectrum disorder and computers are sometimes hard to work with, inFlow is easy and uncomplicated enough for her to feel confident in serving customers. It's had a really positive impact on our environment. Cons: Nothing at the moment! It works well for our business needs. Overall: We serve customers quickly as the software is so user friendly, we maintain accurate and up to date orders on our system which makes day to day running of our staff shop a breeze! Best Inventory program out there! Pros: I like that I can keep all my inventory up to date as well as do Purchase Orders and Sales Quotes all from the same program!! Overall: Keeping my inventory up to date and submitting Purchase Orders. Easy set-up and workability . Pros: Accuracy and options for inventory information is crucial to what we do. This software does it all. Easy entry and accurate reports keep us well informed. Cons: Can't enter new inventory items in the purchase order. Have to enter new items in inventory first. It would be much faster if we could enter the items in one module . Overall: The customer service was right on! Comments: Very good value for money proffessional software. Cons: Cannot change the program colors sometimes anoying the color. Sometimes the currency exchange is not accurate. Pros: Excellent customer support, they follow up until you resolve your issues. Price is unbeatable and has many features. Love how it works with portable devices. Cons: Wish it offered packing slips for shipping. Pros: Ease of use and just enough customization that you can make it your own without hours of setup time. Cons: When initially setting up inventory I was unable to find a way to import new products from excel and simultaneously include the inventory, I found that it needed to be done in two different steps which wasn't ideal. Overall: I have used Inflow at a previous job and when I started this job and they asked for my recommendation I suggested it partly because I already knew how to use it but also because I knew that it would be easy to integrate into our already existing business. Not only is Inflow easy to use, but I find there's just enough customization available that it's essentially plug and play and very little set up involved other than entering basic company information and adding inventory. Recommendations to other buyers: I used this product for two years at a previous company and recently implemented it at my new position in another existing company.